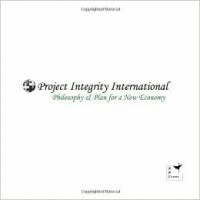 Project Integrity International Philosophy & Plan for a New Economy - M's blog. Was given this book in exchange for an honest review. Wow. At first I thought this was a self - marketing book. However, I realised I was wrong. This book is composed of true facts and from there, paint a picture of a possibility for our society. Overall, a good book. I also like the poem at the end.